A pregnant teenager discovers her employer's sinister secrets in an eighteenth-century London that "feels alive and intense, magnificently raw" (The New York Times Book Review). 1666: The Great Fire of London sweeps through the streets and a heavily pregnant woman flees the flames. A few months later she gives birth to a child disfigured by a red birthmark. 1718: Sixteen-year-old Eliza Tally sees the gleaming dome of St. Paul's Cathedral rising above a rebuilt city. She arrives as an apothecary's maid, a position hastily arranged to shield the father of her unborn child from scandal. But why is the apothecary so eager to welcome her when he already has a maid, a half-wit named Mary? Why is Eliza never allowed to look her veiled master in the face or go into the study where he pursues his experiments? It is only on her visits to the Huguenot bookseller who supplies her master's scientific tomes that she realizes the nature of his obsession. And she knows she has to act to save not just the child but Mary and herself. This ebook includes a sample chapter of Beautiful Lies. Log In to track Clare Clark on eReaderIQ. 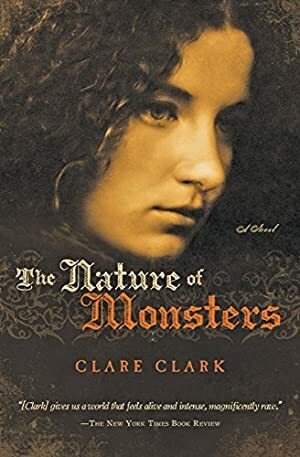 to be notified each time the price drops on any book by Clare Clark. to stop tracking Clare Clark. We started tracking this book on May 4, 2011. This book was $9.29 when we started tracking it. The price of this book has changed 75 times in the past 2,912 days. The current price of this book is $11.19 last checked 5 hours ago. The lowest price to date was $1.99 last reached on April 19, 2019. This book has been $1.99 16 times since we started tracking it. The highest price to date was $11.19 last reached on April 21, 2019. This book has been $11.19 9 times since we started tracking it. We last verified the price of this book about 5 hours ago. At that time, the price was $11.19. This price is subject to change. The price displayed on the Amazon.com website at the time of purchase is the price you will pay for this book. Please confirm the price before making any purchases.